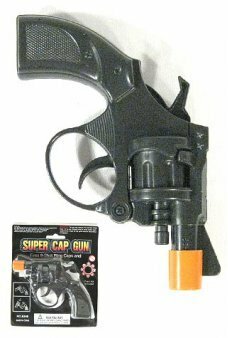 We can’t think of a game that is more universal among children than “cops and robbers,” so arm your young tikes with classic models from our catalog of cap guns and shooters. 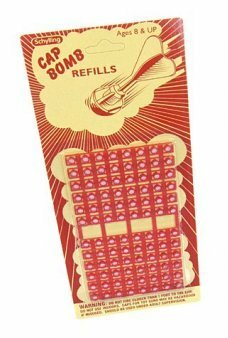 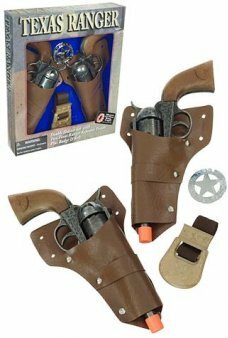 You’ll watch as they play the same games you likely did when you were their age, and we provide all of the cap guns and accessories to get them ready for action – right out of the box. 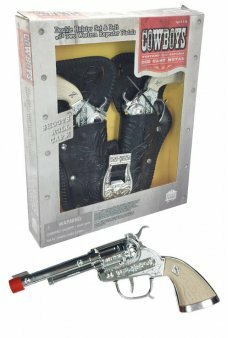 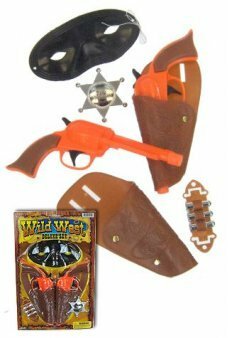 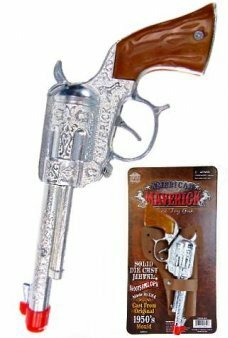 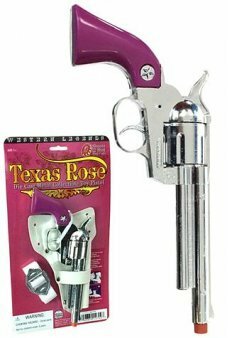 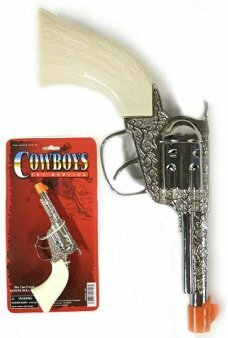 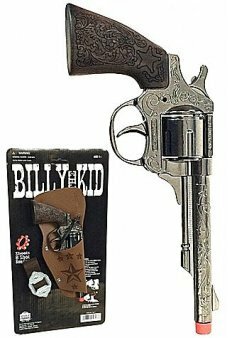 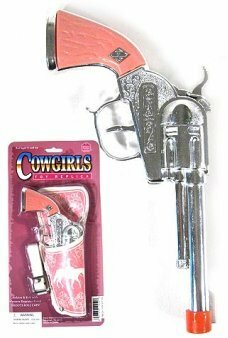 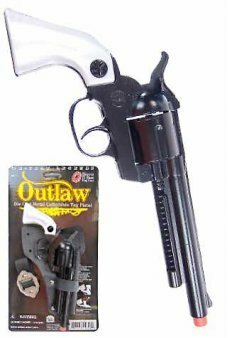 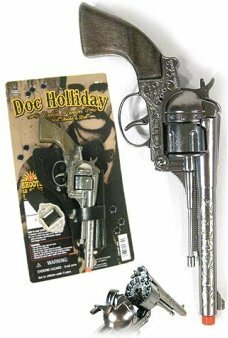 Choose a classic Cowboy gun or a more sophisticated model – even our simple rubber band guns are super fun for those who enjoy knocking over a stray soda can or two out on the street. 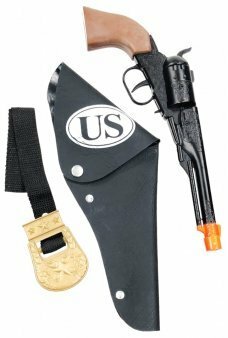 Order today, select the cap guns and shooters you need, pick up the caps and accessories to keep your young shooters stocked up – then get ready to watch them in action! 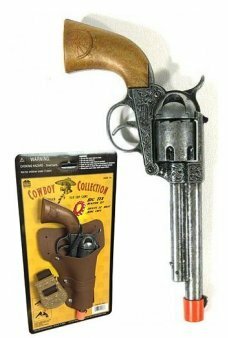 A tiny die-cast metal 45 Special toy gun. 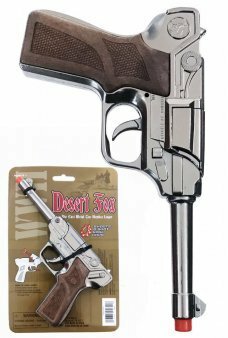 This small steel gun will fit in your palm, but it has a big bang sound. 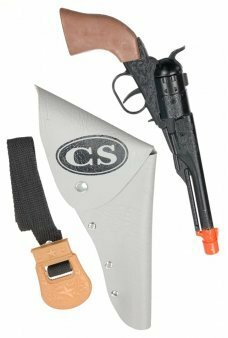 Our c..